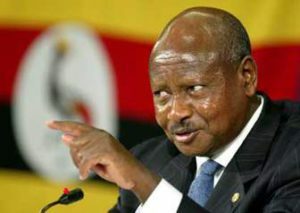 President Yoweri Museveni. Courtesy photo. The President said freedom of worship is a fundamental human right that ought to be respected. The President said Uganda is endowed with enormous natural resources adding that it is the responsibility of every Ugandan to effectively use these resources to ensure a decent and harmonious living. “Our task, therefore, is to boldly and with knowledge face the challenges of poverty which lead to poor conditions of living among our people, he said.